Wheel Alignment or New Tire? 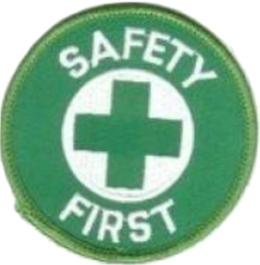 Earlier this year a combustible dust fire and explosion at a North Carolina fiber recovery facility resulting in four injuries has safety professionals scratching their heads and wondering why OSHA continues to ignore the multitude of manufacturing sub-sectors (NAICS) in the OSHA Combustible Dust National Emphasis Program ((NEP). For instance, the fiber recovery facility is classified as NAICS: 322299, All Other Converted Paper Product Mfg. (515 establishments in 2007) which is not recognized in Appendix D-1 nor D-2 of the OSHA NEP as an industry that may have potential for combustible dust explosions or fires. There are many more NAICS not recognized in Appendix D-1 or D-2 where combustible dust fires and explosions have occurred since the NEP was reissued in 2008. Continuing on the misguided approach of targeted inspections for a select few of NAICS while not recognizing a multitude of others is a path wrought with undesirable consequences. There is a commonality of process equipment, effective ignition sources, and potentially explosive atmospheres amongst all global manufacturing sub-sectors processing and handling combustible dust. Its not a matter of if, but when a combustible dust related incident will occur. Solely relying on a NAICS conflicts with reality in conjunction with fire service response to the multitude of repeatable combustible dust fires and explosions regardless of whether a NAICS is listed in the NEP or not. Deputy Chief Greg Blackburn of the Ronda Fire Department put it more succinctly following the March 2012 fiber recovery facility incident, “It’s happened before. It’s not uncommon, this kind of situation,” he said. On a larger scale the same can be said as we observe continually from nationwide news accounts similar views following fire service response to combustible dust related fires and explosions of NAICS not recognized in the OSHA ComDust NEP. For how much longer will the ComDust NEP continue to be a static document? Its already been over a half a decade since initially issued October 17, 2007. Will stakeholders have to wait for another tragic combustible dust catastrophe where the U.S. Chemical Safety Board will investigate providing key recommendations for root and contributing cause that we already know about? Continuing to ignore the fire service as a welcome partner in the combustible dust rule-making process fails to acknowledge the root of all catastrophic events. This would be in the form of all the prior non-consequential combustible dust events the fire service is responding to repeatedly. We have it all backwards right now with all the focus on catastrophic dust explosions while ignoring the multitude of non-consequential combustible dust related fires. For instance, say your car is traveling down the freeway and you get a tire blowout due to a worn out tire treads. So you go to the tire shop for a new tire and the repair person notices your wheel alignment is off. 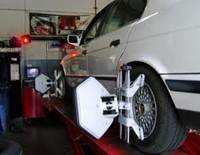 Not having correct wheel alignment will cause your tires to wear improperly resulting in tires rapidly wearing down at the treads. New Tire or Wheel Alignment? 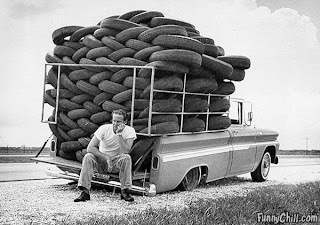 So what you going to do purchase a new tire and continue your highway travel or get a wheel alignment before purchasing a new tire? Having a tire blowout on the highway at high speed is analogous to a potential catastrophic event. A wheel alignment is just like addressing the fires in minimizing the probability of a tire blowout while traveling on the highway. So is it time for a realignment? What do you think?